I say old bean, did you know coffee has been on the go for 1200 years? Most of us can’t start our day without a strong cup of the good stuff – but did you know six in 10 of the world’s wild coffee species are under threat? Is it true that coffee beans are actually seeds? Yes. Coffee beans are the seeds of the coffee cherry. Each cherry produces two seeds, one facing the other, hence the half-spherical shape of coffee beans. How many species of coffee bean are there? There are more than 100 coffee species in the wild, but we almost exclusively use either Arabica or Canephora – commonly called Robusta – for commerce. The other names we see associated to coffee (Mundo novo, Bourbon, Catuai) are usually sub-species of the Arabica branch. Is there a science to brewing the perfect cup? There are no absolutes when it comes to coffee brewing. The methods of preparation are closely associated to cultural conventions and vary drastically around the world. Besides, with different brewing methods come different parameters for water temperature, pressure (or lack of), grinding levels, etc. 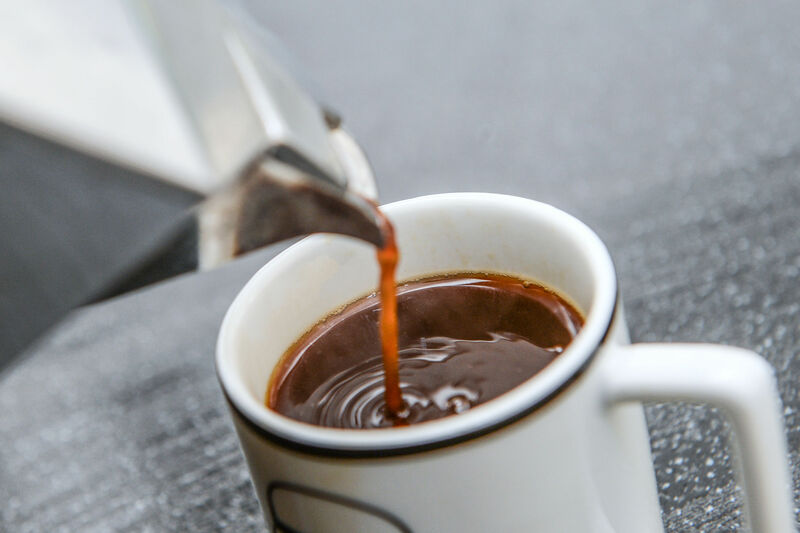 The best way to serve a great cup of coffee is to understand the brewing method you are utilising and follow the specific guidelines of the individual system. How did you come to work with coffee? I was born in a family of coffee producers and grew up on a farm in Brazil. This allowed me to learn about coffee and the activities that take place inside the farm very naturally. I always enjoyed coffee and had a personal connection to it, but only made it my profession about seven years ago when I started a roasting company, before joining Nespresso as a coffee expert. Has the way we drink coffee changed over the decades? Some say we’ve been drinking coffee since 800AD so I imagine it has! I believe the core reasons why people drink coffee have remained the same throughout history. The earliest documented accounts reference the social aspect of coffee, which is as relevant today as it was centuries ago. However, the way we drink has been constantly adapted according to culture, available materials and personal tastes from espresso, milk to barista. What is the perfect environment for growing coffee bean crops? Generally speaking, you will find plantations in what we call the coffee belt; the region within the tropics of Capricorn and Cancer. This is where temperatures tend to remain above 16C for most of the year, allowing for plants to prosper. There are other factors influencing coffee production such as altitude, rain frequency and soil. Ideally, speciality coffee will be grown in rich volcanic soil, altitudes higher than 900 metres, and temperatures between 18C and 25C in the shade of trees. There are many approaches to decaf. Most of the process involves putting the green bean in contact with extracting substances before the roasting takes place. At Nespresso, we use a decaffeination process based purely on water. Caffeine is a very soluble substance, so using the right technique we can extract it with water without compromising the taste. Once this process is over, coffee is sent to roast as usual. How do you personally like to take your coffee? As a coffee lover, I enjoy experimenting with brewing methods and seeing how I can be versatile with the same coffee in recipe creation to pairing with my favourite breakfast or dessert. Is there a reason the smell of coffee is so enticing? There are thousands of chemical reactions taking place while coffee is being roasted. The reason why green coffee smells so different to roasted coffee is that most of the volatile compounds that compose the coffee aroma are created during this stage and quickly escape. They work in combination with other volatiles that were trapped inside the cell walls to create what we recognise as the coffee aroma.